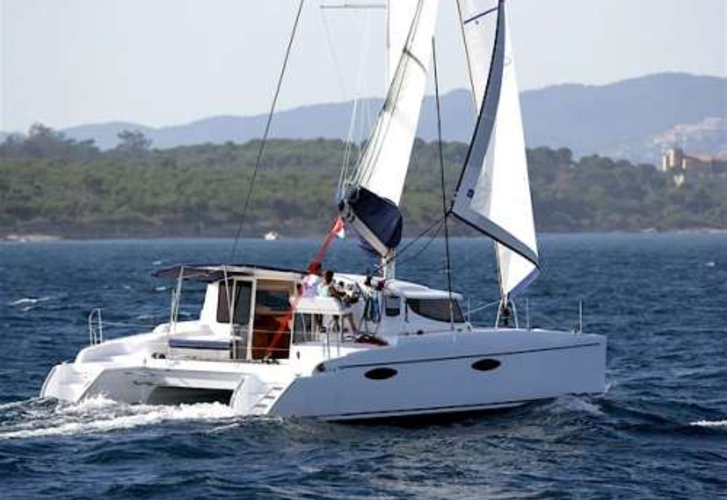 In 2012 was produced boat Mahe 36 named A La Mer. 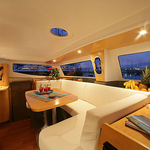 You can take in up to 4 crew members on the sailboat A La Mer. Configuration of sleeping places is 4. There are 2 bedrooms placed under boat's deck. A La Mer has 2 heads with showers. In this yacht is applied motor 2 x 20 hp. With 11.00 m of lenght and 5.90 m of width A La Mer offers enough space for comfortable sailing. 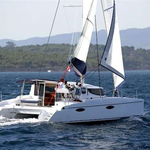 Mahe 36 A La Mer is equipped with: Air conditioning, Autopilot, Gps plotter, Anchor electric windlass, Wc pump electrical, Freezer, Inverter 12v-220v. . Security deposit is 0.00 EUR.